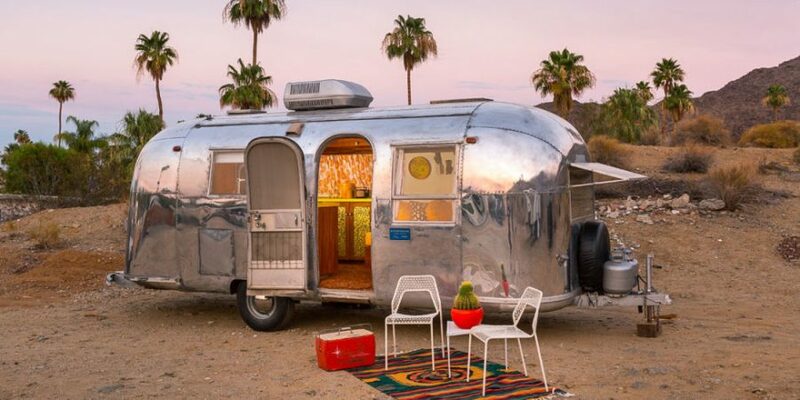 Moving into an Airstream from a traditional house or apartment may seem unmanageable given the amount of stuff in your current place. 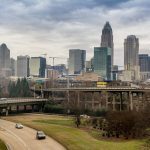 However, all across the country, thousands of people are embracing the tiny home movement, and discovering that life with fewer square feet of living space is no only doable, but freeing. 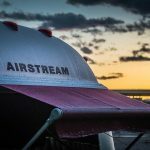 By taking a few simple steps and changing the way you think about new purchases, you can easily make the transition into life in an Airstream. Here we’ll discuss what to discard, what to keep, and how to organize to make your dream a reality. Duplicates: Begin your quest to downsize by eliminating any duplicate objects. While 4 different sets of dishes may be nice, they take up valuable real estate in a smaller home. For each item ask if you have something else that can perform the same function. 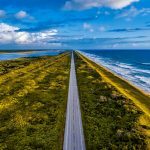 For example, on an Airstream, you probably only need 1 cutting board, you can ditch the specialty cheese board and the butcher block; Airstream life is all about simplifying. Unused/Rarely Used Items: Companies spend big money each year to convince you that you need the things they make. Before you make a purchase, ask yourself if this item is truly necessary. Will it make a large difference? As you go through your current home, evaluate each item carefully. Would you buy it again today? When was the last time you used it? With most moves, professional movers say it’s wise to get rid of anything you don’t really use, because you’ll end up paying to move it or store it. 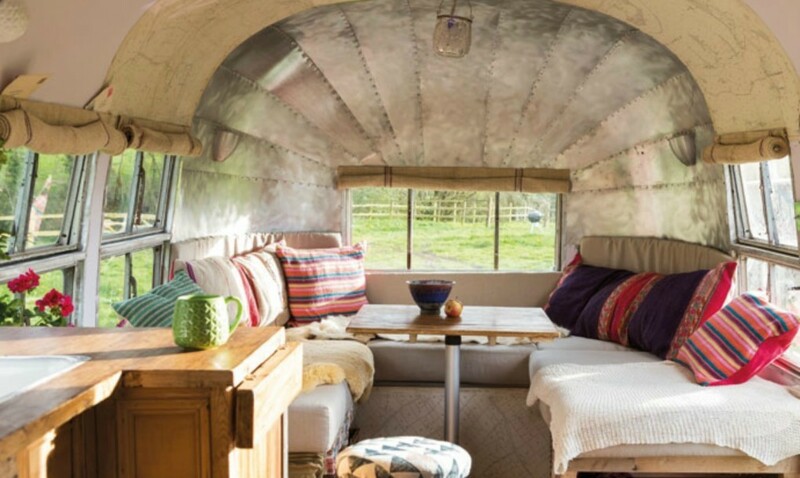 Moving into an Airstream is no exception; there simply isn’t room for extra clutter. Excessive Clothing: Pare down clothing options for each member of the household. The typical American household dedicates large spaces to walk-in closets that are filled and overflowing with excessive amounts of clothing, handbags, and shoes. However, you will probably find items you haven’t worn in years! Keep in mind that Airstream closets are tiny, plus Airstream living is a different way of life. Chances are, you won’t need 10 business suits or all those worn-once bridesmaid dresses you’ve hung on to for the last 15 years. Staple Clothing: When going through your closet, keep items that can be mixed together. Neutral colored pieces that can be layered for different looks and different seasons are an excellent choice. 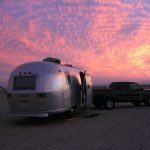 The Clarke family, who pen the popular Airstream blog takethatexit.com, indicate that you’ll likely find yourself wearing the same clothes frequently, and often, multiple days in a row. Doing laundry on the road is far more of a chore since you won’t have the convenience of an in-home washer/dryer unit. With this in mind, choose clothes that you really enjoy wearing! Favorite Possessions: Be selective, but keep your treasured possessions. It may take some creativity to use the items with sentimental value. However, you will be happier with your new space if you are surrounded by a few choice pieces that mean something to you personally. Keep in mind that if you aren’t envisioning a permanent life on the road, you could always put some of your favorite things into storage for a future home. Many moving companies, like Killen moving services, also have their own secure and climate-controlled storage facilities. These warehouse-type storage units are typically a cheaper option than self-storage and are a great option if you won’t need constant access to your things. Pretty Necessities: Since many everyday items will be prominently displayed, make sure they add to your space. Everything thing, even appliances, can now be coordinated with your color scheme. Take advantage of this opportunity, and brighten you home with pops of color in unexpected areas. 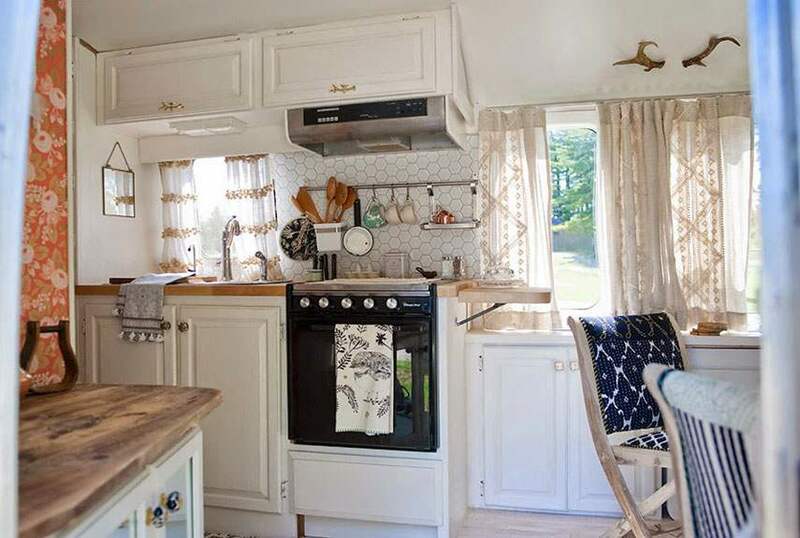 Check out blogger Sarah Schneider’s absolutely enchanting Airstream for some major design inspiration.Throw rugs take minimal space on the floor while adding color, texture, and comfort. If properly placed, they also serve to break up the space into separate areas. Wall/Vertical Space: Use shelves and hooks to take full advantage of the vertical space in your Airstream. You can hang a variety of things including pots and utensils. Shelves can hold spices, dishes, towels, and other objects. By using all of the available vertical space, you free up valuable floor and counter space. Multipurpose Functionality: Almost every piece of furniture in your Airstream should serve more than one purpose. Your kitchen table also serves as a desk, homework station, and food prep area. Benches or other seating should be able to hold blankets, towels, or clothes under the cushions. 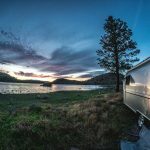 Moving into an Airstream requires a change in your lifestyle. You must become accustomed to downsizing the materials you need to be comfortable, not just your square footage. During this process, you will discover what you really need and the things you want.